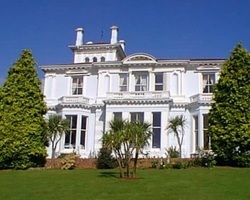 The Allerdale Hotel is a Victorian Villa built in the 1850's for an Admiral, and was the first property on the famous Cary Estate. The Hotel is now under the personal supervision of the Abbott family, and has been tastefully renovated to provide comfortable surroundings to ensure a relaxing break. All bedrooms are en suite with colour tv and tea making facilities. The Allerdale also provides FREE WiFi to all guests. We are delightfully situated in a quiet location, and nestling in spacious gardens, where you can sit and enjoy the peaceful sub-tropical surroundings. A private path from the gardens leads to the promenade and Torre Abbey sands. The Allerdale Hotel although in a quite location is situated only a few minutes walk for the town centre and local amenities, including the English Riviera Conference Centre and the Princess Theatre. The Allerdale has a friendly family atmosphere and welcomes all guests, providing relaxed comfortable accommodation for you to enjoy. We have a selection of rooms available to suit all requirements. The Allerdale also prides itself in offering excellent food for you to enjoy in our attractive dinning room. Our chef provides a good full English breakfast to start the day or continental breakfast can also be provided. You can enjoy a wide selection of good traditional food chosen from the best fresh local Westcountry produce and lots of fabulous exciting puddings! He also caters for special dietary needs.